Freight and trucking companies depend on healthy cash flow to stay on the road. As with most businesses, you probably experience fluctuations depending on the time of the year and economic conditions. You need cash to pay drivers, maintain your vehicles, purchase fuel and cover other business expenses. Transportation factoring is a way to ensure that you always have cash on hand. Transportation factoring or freight bill factoring is a way to sell your unpaid invoices for immediate cash. The truck factoring company provides you with up to 95% of the value of your invoices and takes responsibility for collecting from your clients. Unlike other types of financing, such as bank loans, you don’t need a long business history or pristine credit to get approved for transportation factoring. The factoring company is more concerned with the credit history of your clients as they are the ones who are paying. The truck factoring company will establish a credit limit based on your customers’ credit and the size of your invoices. You haul your loads and submit the freight bill to the factoring company instead of your customer. The factoring company will forward the invoice to your customer and verify the load was delivered. The factoring company will advance you up to 95% of the freight bill, usually within 24 hours. The factoring company will collect payment from your customer, usually within 30-60 days. Here are some of the top benefits to factoring your invoices. Get Cash Immediately. Unlike loans, there’s no waiting period. You can receive cash in as little as 24 hours. No Limit to Financing. The amount you can factor is based solely on the value of your invoices. The more receivables you have, the more you can factor. Save Time and Money. Cut back on the hassles and costs of processing invoices and collections. Meet Financial Obligations Easier. Pay bills on time and make payroll without delays. No Debt. Factoring won’t put you in debt or affect your credit score. Grow Your Business. With greater cash flow, you have more capital for hiring drivers, purchasing new trucks, marketing and other investments that help you grow faster. Flexible Financing. Some factoring companies allow you to decide which invoices you want to factor. There are two types of invoice factoring: recourse and non-recourse. With recourse factoring, there is no credit protection. In other words, if your customer doesn’t pay for any reason, you must repay the factor the amount they advanced on the freight bill. This means that you must be able to afford bad debts, should they occur. With non-recourse invoice factoring, the factoring company assumes the credit risk and provides credit guarantees on all factored invoices. This means that if your customer doesn’t pay for credit reasons (e.g. they file for bankruptcy), you are not held responsible to repay the factor. With this type of transportation factoring, you don’t need to worry about having to cover your customers’ debts. While both types of factoring can improve your cash flow, recourse factoring presents some of the same challenges you had before you started factoring. Only non-recourse factoring provides you with credit guarantees that eliminate your risk of bad debt. 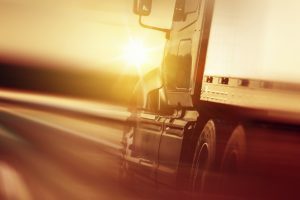 If you’re thinking of using truck factoring to provide you with enhanced cash flow, it’s important to choose the right factoring company. You want to find a business that’s experienced, trustworthy, and flexible. Riviera Finance has been providing all types of businesses with factoring services for 50 years. They offer flexible transportation factoring customized to your needs. Riviera Finance also offers fuel cards and discounts to help you save money. You can enjoy substantial savings at Roady’s, Speedway, Petro, TA and others. The mobile app and other online resources provide access to the Fuel Finder Tool at any hour. Fuel cards are accepted nationwide. To learn more about how transportation factoring can help your business, contact Riviera Finance. Founded in 1969, Riviera Finance is nationally recognized as a leader in business financing. Riviera Finance provides full-service, non-recourse invoice factoring to growing companies.